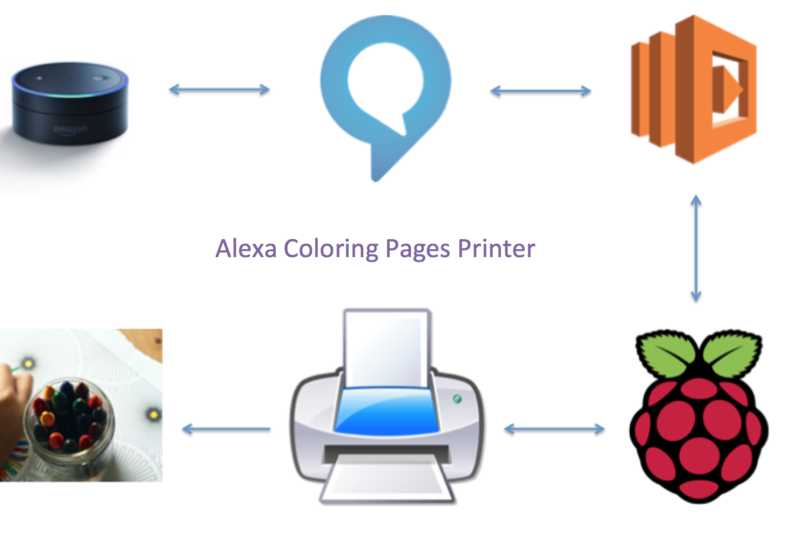 Now they just ask Alexa who tells the Raspberry PI to send a random coloring page to the printer. They chose to call this skill 'em', I have no idea why. For the pages, I used python to download a set of safe files and stored them locally on the Pi. I haven't included the python here but can recommend looking into BeautifulSoup if you are interested in this approach. If not you can manually download a bunch of files and drop them in folder within your project directory. Don't forget to order more ink & paper!